Bigg Boss Season 12 Episode 58: Prize Money Gets Deducted! The luxury budget and captaincy task, Hitmen, proved to be a rollercoaster ride in the house. The Happy Club shattered once again, Dipika and Sreesanth had a huge spat and the hitmen Romil and Sreesanth too ended up in a major tussle. Sreesanth decided to quit the task this time, too. So predictable! In case you miss out on who won the task, who became the contenders for captaincy and what is the sum of the prize money after all the deductions, we have the highlights for you. Read on! 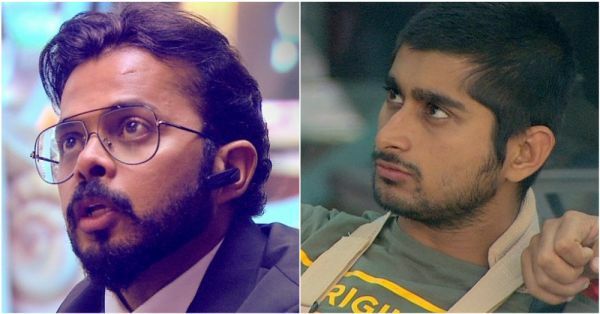 Deepak made a deal with Shivashish and asked him not to name anyone from the Happy Club during the Hitmen task. But Shivashish decided to split the Happy Club after he realised they were playing a game with him. Shivashish bitched about Romil in front of Surbhi. 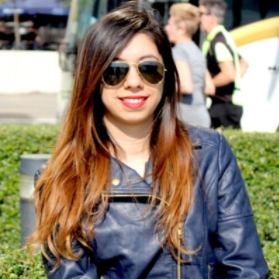 She got emotional and confronted Romil the next morning. Romil called Shivashish and tried to clarify the matter and after one point he refused to listen to Surbhi. This irked her and she announced that she was quitting the Happy Club. When Sreesanth saw Surbhi crying, he went to console her. She felt all the more hurt after he told her what all conspired during the Hitmen task. Deepak called off his deal with Shivashish and said he will take anyone's name now. A huge fight ensued between Surbhi and Deepak over the captaincy as he called her selfish. Surbhi couldn't control her temper either and abused him. Sreesanth tried to pacify Deepak and told him to not fight with her. Surbhi got really upset and refused to listen to anyone including Romil. Dipika overheard Sreesanth and Romil's conversation and asked Romil if he was actually going to take her coin. Sreesanth got angry as he didn't appreciate Dipika cross-questioning him in front of Romil. Sreesanth and Dipika got into a heated argument. Dipika told Sreesanth that she doesn't want to talk to him and Sreesanth asked her to go away. Sreesanth and Romil got Deepak, Surbhi and Karanvir's coins. They killed Surbhi. Rohit urged Sreesanth to kill Karanvir, but Romil killed Srishty. Then, Romil killed Karanvir after Deepak asked Romil to do so. Right after that, a huge fight broke out between the two hitmen Romil and Sreesanth over Deepak's coin. Sreesanth left the task as Deepak wasn't coming inside the chamber. Bigg Boss asked the hitmen to come to the confession room and told them that Sreesanth can kill Deepak as he had a high bid against Deepak. Sreesanth finally killed Deepak and then he killed Somi. Bigg Boss asked the hitmen about how much money that had both got from the bids made by the other inmates. Sreesanth had Rs 8.35 lakhs and Romil had over Rs 13 lakhs. Bigg Boss announced that Romil had qualified for the captaincy task. Shivashish became the other contender for captaincy as he was the only person left alive at the end of the task. Bigg Boss announced that after all the deductions, the prize money of this season is Rs 23,40,000.